JUNEAU — The state lawyers who represent Alaskans too poor to pay for their own attorneys may start refusing to take on new cases because of a lack of cash, according to their boss. "Our data show that for us to do the required duties on these cases, we just don't have the staff," said Quinlan Steiner, head of Alaska's Public Defender Agency. He added: "We're at our limit right now." Steiner says the problem would be fixed with an extra $1 million for his $26 million budget, to add four attorneys to his staff of 100. It would also pay for a new support position and some trial expenses. But midway through Alaska's annual budgeting process, lawmakers have so far rebuffed Steiner's request. Gov. Bill Walker's administration refused to include the extra $1 million in its budget request to the Legislature. 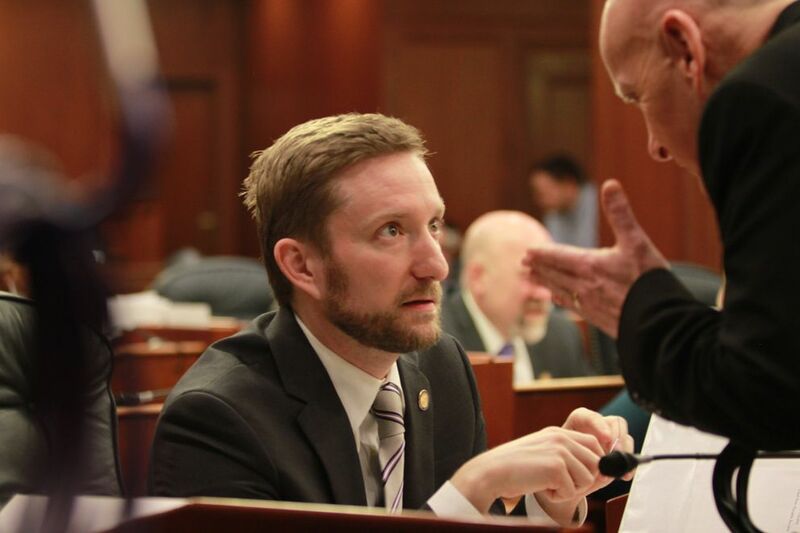 And a House budget subcommittee also declined to add the cash, with the chairman, Anchorage independent Rep. Jason Grenn, saying he was awaiting more data. Walker's budget director, Pat Pitney, said that the state will find a way to ensure that poor defendants have legal representation, which is a constitutional right. But the strain over the budget shows how Alaska's deficit crisis is pitting some of the state's most essential public services against lawmakers' willingness to make the tough political choices needed to generate more revenue — like restructuring the Permanent Fund or levying new taxes. "The state is rearranging the chairs on the Titanic and there's no fiscal plan," said Anchorage Democratic Rep. Les Gara. "The budget is broken." The public defenders are projected to take on 22,000 cases this year. They're appointed by judges for people who can't afford to hire attorneys — mostly in criminal defense cases, but also for other matters like juvenile delinquencies and child protection cases. Steiner uses two metrics to measure whether the state is asking too much of his attorneys. One is a decades-old national guideline used by the American Bar Association that says maximum annual caseloads for public defenders should not exceed 150 felonies. Alaska's public defenders are expected to each handle the equivalent of 160 cases — the highest number in Steiner's 12-year career — in the current fiscal year, which ends June 30. A separate, state-specific legislative audit in 1998 said public defenders can "ethically" work on no more than 59 cases in a 60-hour work week. But each public defender this year is projected to have 92 cases under that standard, which means they would have to work 94 hours each week to meet their ethical obligations, according to Steiner's calculations. Most attorneys in Steiner's agency are paid between $75,000 and $160,000 a year, according to budget documents. The public defenders' crunch stems from a sharp increase in the number of cases sent to the agency. There's been a 16 percent increase in statewide felony cases in the past year and an 18 percent increase in Anchorage. Misdemeanors are also increasing, though more slowly. Steiner said he thinks the trends stem, in part, from the recent growth of Anchorage's police force. And the increases are expected to continue because Walker's budget request to the Legislature, amid a public outcry about crime, includes a boost of $4.8 million to hire more troopers and state prosecutors. That budget request did not contain a similar increase for Steiner's agency. "Caseloads continue to go up; budget's not going up," he said. "If we get these cases and don't have the funding to deal with it, I'd be ethically required to try to refuse cases." Pitney, the state budget director, said Walker's administration looks at the criminal justice system "holistically" — not just at the public defenders but at prosecutors, state troopers and the judiciary. Pitney said that prosecutors and troopers were handed the biggest reductions as lawmakers cut Alaska's budget in the past few years, in response to the deficit. "Everyone has felt the constraint, but prosecutors and troopers the most," she said in an interview. "We need to keep the whole system on balance, and so we're addressing law and troopers." While the defenders feel they need a larger budget, she added, "what we don't want to do is get the system out of balance." If there's a higher need for criminal defense, the state will pay for it, she said. But, she asked, will that happen in the next fiscal year, or not until later? Overburdened public defenders in other states have also attempted to refuse cases, like Steiner is warning that his attorneys could. In New Mexico — which, like Alaska, has faced big deficits amid a decline in oil revenue — a county judge found the state public defender in contempt in 2016 for refusing assistance to poor defendants. And in the same year in New Orleans, the American Civil Liberties Union sued the public defender's office after it stopped accepting certain felony cases, citing reduced budgets. The ACLU of Alaska says it's watching as the public defender agency's budget works its way through the legislative process. Tara Rich, the ACLU of Alaska's legal and policy director, said that if the agency starts refusing cases, it could set off a "cascade of competing lawsuits" — from defendants who could end up without adequate constitutional representation, or from crime victims who feel that they're being denied their constitutional right to timely resolution of their cases. "I think it's a little hard to overstate what kind of a big crisis this would be in terms of competing litigation for constitutional rights that all would have merit," Rich said. "This is a really big deal." With the public defender agency's budget now in the Legislature's hands, lawmakers haven't promised to meet Steiner's request. Gara, the Anchorage House Democrat, sits on the House Finance Committee; he said the state "obviously" needs to add public defenders if it's going to boost budgets for prosecutors. But, he added: "I don't know what the right amount of money is. … We're all sort of trying to figure out what to do." 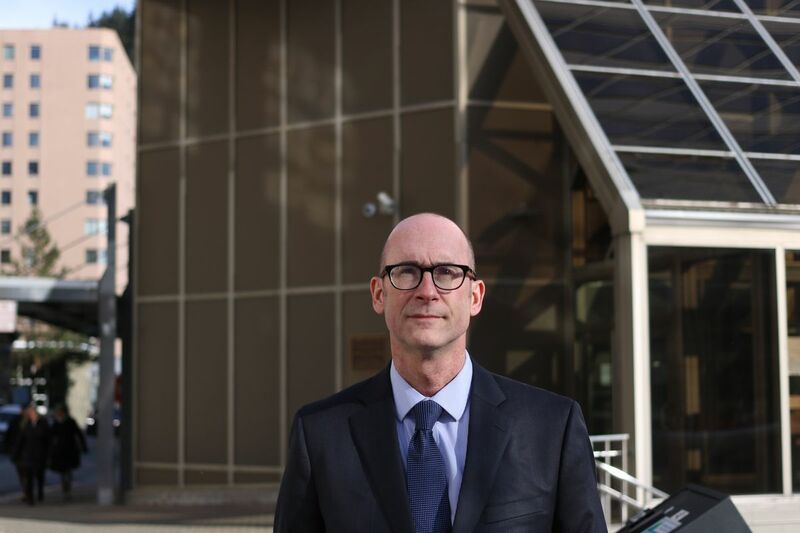 Grenn, the Anchorage independent representative who chairs the subcommittee that controls the public defenders' budget, said he didn't accommodate Steiner's request because he was "trying to find more data, and more evidence supporting what the needs are." "We're having to weigh between every department that is looking for more funding," he said. The budget is still sitting in the House Finance Committee, where it could be amended next week. Steiner was at the Capitol on Thursday making his case to lawmakers. After the budget passes the House, it will head to the Senate. The chair of the Senate subcommittee that handles the public defenders' budget, Republican Gary Stevens of Kodiak, wasn't available Thursday, according to a spokesman for his Senate majority. "They need time to consider it," the spokesman, Daniel McDonald, said.